The answer is no. iModels Holdings are definitely not a scam. It all comes down to how you perceive the entire process. If you ever receive a name card from iModels, do not worry about us leaking your personal contacts to third parties. We are simply using the contact to contact you so that we can arrange an interview for you. Why interview you may ask, well, most of the time, our scouts see the potential in you to become our freelance model. You may not be the best-looking and may not have the best physique, so you are skeptical about us, you are doubtful and you want answers. You Google, not for the sake of finding our website or social media sites, but only want to find out about what people think. When people reviewed us as a “cheat” or as a “scam”, the level of skepticism just alleviates in your mind, and you begin to think negatively of us. Thing is, there is some misunderstandings between the general public and our industry, and because this misunderstanding is not cleared up, it resulted in a vicious cycle. So therefore, we are writing this article to clarify things and hopefully change the perception of what people think of us. So the process of how people become our models is like this. Firstly, you are either approached by our iModels Holdings scouts or you call/email us. We will arrange for an interview with you as our consultants will want to assess you, and see if you are suitable to be part of our team, of course, not everyone is suitable. But here’s the part where everyone says it is a “scam”. You will be required to pay an amount for the package that we offer, which includes the photoshoot session with our professional photographers at our studio, we will also create your portfolio based on the pictures that you have taken and also the particulars about you, like what kind of assessments will you prefer, the things you are good at et cetera. Ultimately, the whole point of doing all this is so that we can send your portfolio to the numerous clients that we have, which includes Mediacorp, DBS, HSBC, SingTel, M1, Samsung, Marina Bay Sands Singapore et cetera. Our clients will then assess your portfolio and see if you are suitable to be part of their projects, which includes TV commercials, print advertisements, Fashion Show, Events et cetera. If you are selected, we will give you a call and let you know more details about the project and then you can make your way down to the location where the client is situated at to find out more. That is how we engage you with our clients and how we make sure that every model we have will be assigned projects, no one will be left out. 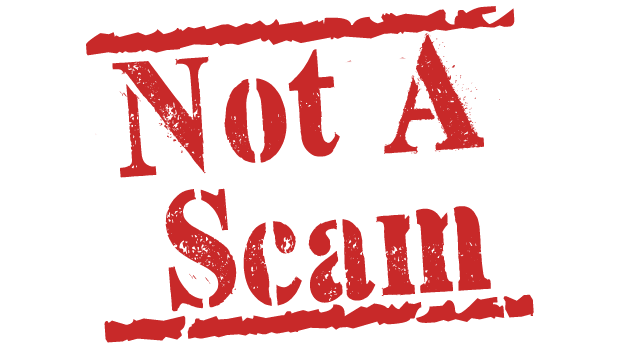 You may have the tendency to think that if we require you to make payment, we are not a legitimate company. Think about it again, before you get what you want, you need to make an investment. When you are buying food, you need to make payment beforehand. It works the same way with us, it is a business. We engage with clients, we take photos of you, we create the portfolio for you, all these come at a cost as we do our best to promote and deliver you to the clients, for you to become a star in the glitz, yet, our good intentions are perceived as “scam”. If you cannot believe us, look at all the iModels testimonials, all the videos and all the projects that we have taken. See it for yourself, iModelsHoldings is not an empty vessel, we do not make noise for nothing. We stay true to ourselves, we maintain professionalism and most importantly, we are definitely not cheating you. iModels Holdings is a company in this industry for more than a decade, we have done so many different projects for so many people. Surely, this misconception should not exist anymore. Bear in mind, some of the things you see from the reviews are not entirely true because they could be our competitors or simply trying to defame our reputation. Here is a shout out to all our models and people who are interested to join us, thank you for you trust and confidence in us, we will continue to work hard to make sure that you deserve all the glamour. To those who are interested to join us, feel free to come down to our office for an interview. We will not discriminate anyone, the old, the young, the tall, the short, the female, the male, the Asian, the Caucasian et cetera. Everyone is welcome. Indeed iModels Holdings is not a scam. I have friends who worked for this company and they are receiving lots of projects and casting calls. Many complain that you have to pay money to be a model but I see it as an investment. After looking at the models' testimonials, I can see the gratitude they have and how happy they are to be part of iModels Holdings. During assignments and my friend do take payment on time too.Don't believe such rumours and I suggest a visit to the agency is best to clear all doubts. This company is definitely trying to steal your money. $2000 to 'build a portfolio' on top of a $2000 initial deduction from your jobs is absolutely ridiculous. It is technically not a scam because they are sending your pictures to various clients BUT the amount the expect you to pay is ludicrous. Was told to make a payment of 600 plus upfront for the com card before I was even able to register as their model. They hired mostly Chinese National from China to "scout" you at Orchard Road etc. Strongly advised to give them a miss..